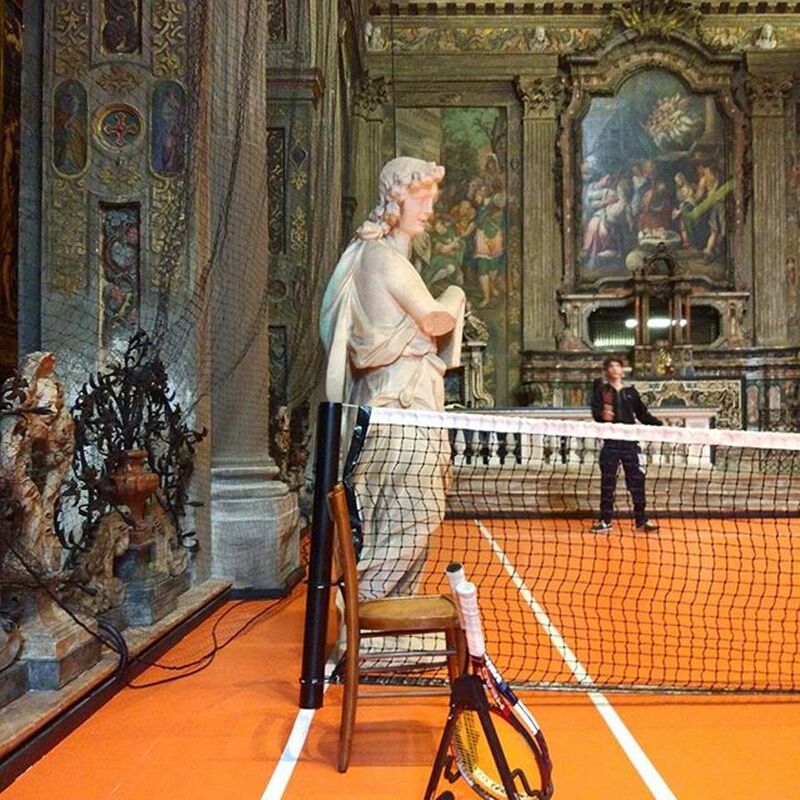 US artist Asad Raza installed a clay tennis court in a desacralised 16th-century church in Milan in November, enabling visitors to hit some balls in front of Renaissance paintings. Presented in San Paolo Converso, the installation, 'Untitled (plot for dialogue)', shared the nave with a series of frescoes by the Campi brothers for seven weeks (until 16 December). Fusing art, sport and religious heritage, it may have struck devout Christians as blasphemous. Yet the church—which featured a light installation by German designer Ingo Maurer in 2016—was reportedly desacralised in the 19th century. But Raza is not the first artist to appropriate the game of tennis. The French artist Benedetto Bufalino installed a tennis court in an apartment in Dijon, France, in 2014, followed by another installation in an apartment in Brussels last month.